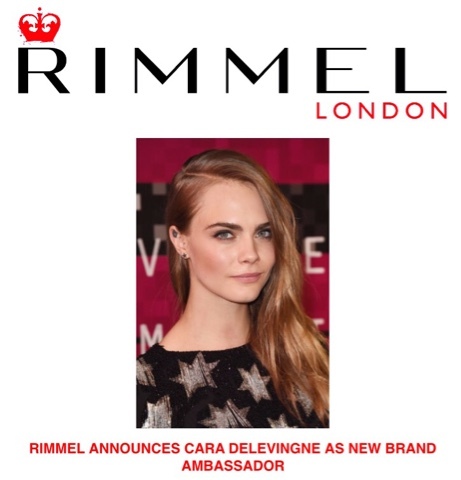 We are thrilled to hear that fierce Cara Delevingne is the new face of Rimmel! Her untouched brows and attitude make her the perfect candidate. Cara Delevingne is the perfect embodiment of the trend-setting Rimmel brand and its edgy, streetwise personality. With her bold, modern look, fierce fashion sense and confident stance that true beauty comes from within, Cara is globally admired for her individuality and self-expression. She will be a powerful addition to the brand, inspiring a new generation of women and showcasing a different facet of the eclectic London look. 5. And the fact that she walks in fashion shows for, Karl Lagerfeld, Chanel, Grand Palais, and of course Burberry!